What's the point in living along the World's Most Famous Beach if you aren't going to truly enjoy the beauty of our brilliant blue Atlantic coastline. Whether you choose a million-dollar mansion, a cozy beach bungalow or a luxurious condominium, the oceanfront lifestyle in our area is ready to welcome you. Enjoy the sun and sand on traffic-free beaches or own a vacation property in the heart of the Daytona Beach hustle and bustle. 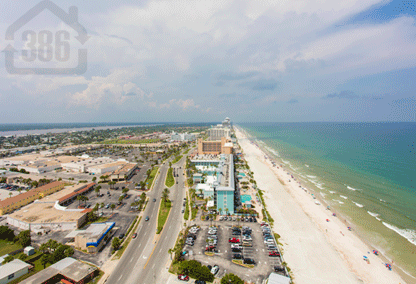 Browse all oceanfront properties below or narrow your search by city and property type. Call us at (386) 527-8577 for personalized assistance.